The 20th of september is national Working From Home-day in Belgium as part of the mobility week. Too often teleworking is seen as a solution for public transportation strikes, snowfall, or personal problems. 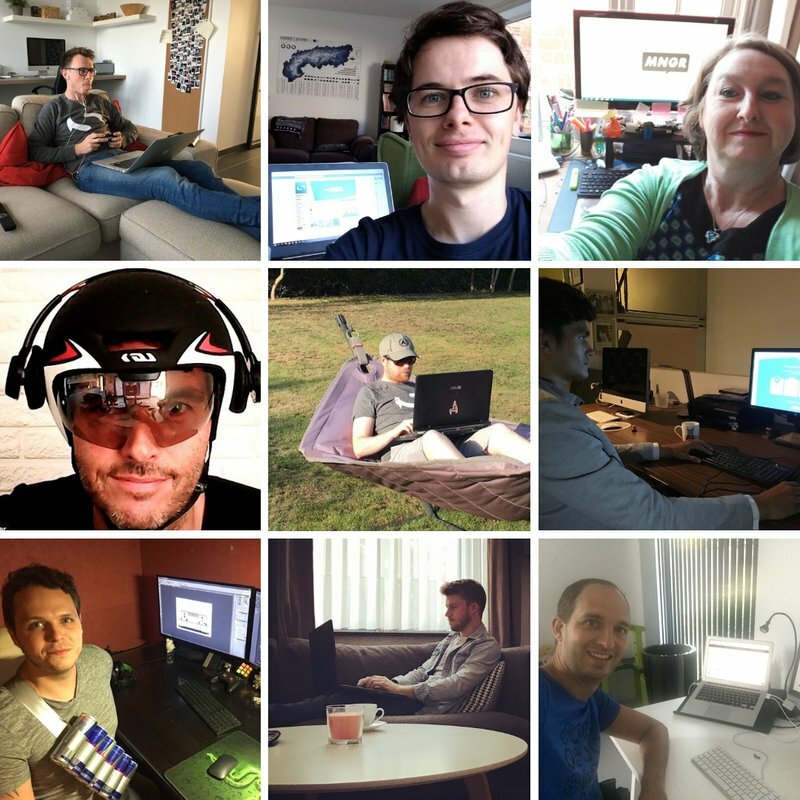 At Sitemanager we firmly believe that teleworking is an essential part of a great working environment and leads to happier and healthier coworkers. Our team working from their working spaces at home. At SiteManager, we have the policy of structural teleworking. Employees are allowed to work from home whenever they want. There are no strict rules at SiteManager. We can choose how many days a week we work from home. Some team members only come to the office once or twice a week, others prefer working from the office every day. We keep in touch via our group chat, skype and email. Every monday on our team meeting, we all gather around the table and teleworkers call in from their homes. At SiteManager, we believe that traditional web design development cycles are time-consuming, redundant and out-dated. The same applies to company cultures. Experimenting with new innovative ways of working results in happier and healthier team members, enabling us to work together on smart technology. Interested in our journey as a startup from Belgium to the Great North and beyond? Follow us on Facebook, Twitterand LinkedIn!